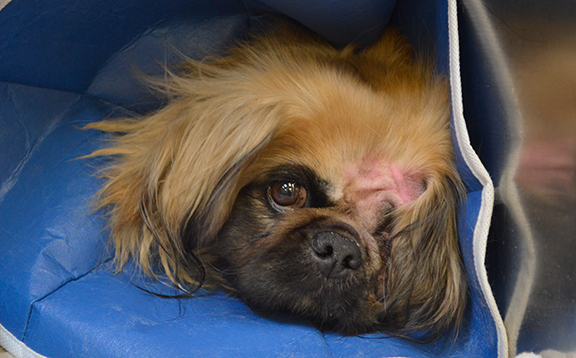 Ottawa's injured and neglected animals depend on you to receive medical treatment, tender care, and hope. 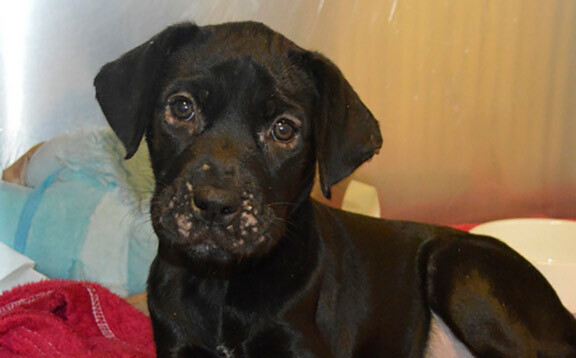 Nala, a black Labrador retriever mix puppy, is one of the innocent animals who needed a second chance. 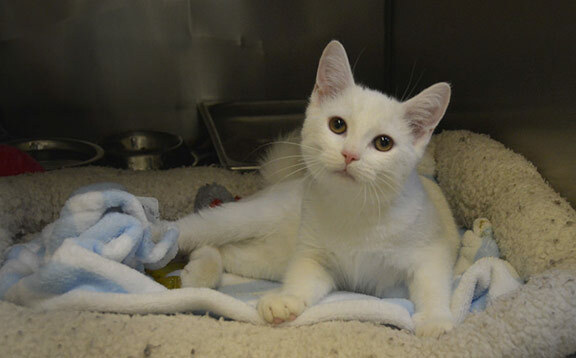 Kermit arrived at the Ottawa Humane Society in January with a broken leg. River, a one-year-old male cat, had an unfortunate, horrible, not-very-good day in the middle of January. 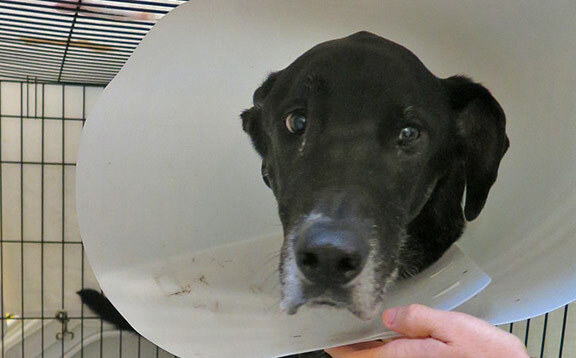 Somehow he ended up in the middle of the Rideau River, his face, paws and tail wounded. 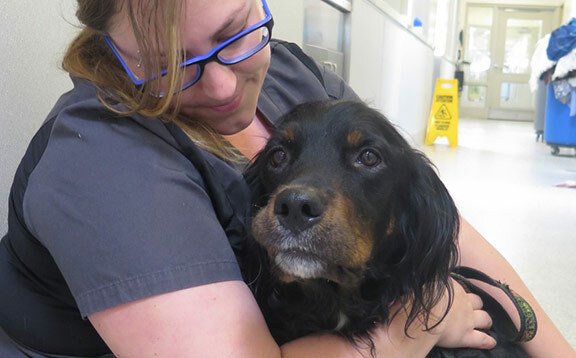 Some animals arrive at the OHS with small medical issues. And some have big ones – really big ones! And for Max, his medical emergency was EXTRA LARGE! 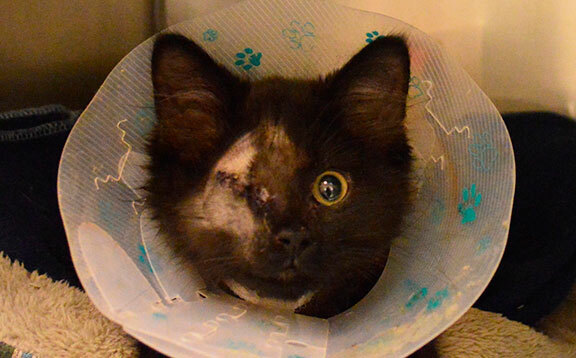 This four-month-old kitten barely survived being attacked by a large dog. 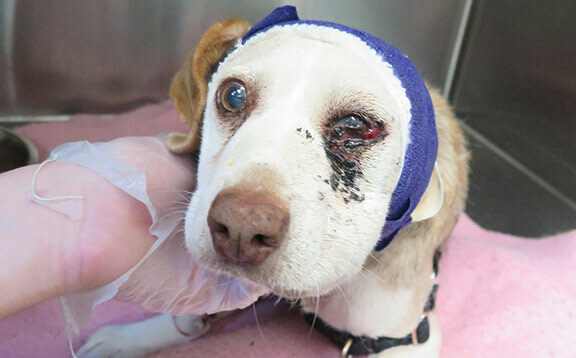 Unfortunately, she suffered from horrific head trauma, resulting in emergency surgery to remove her damaged eye. Stan Lee, a precious four-month-old short-haired kitten, arrived in excruciating pain – he had a terrible accident and broke his right hind leg. This little daredevil had nowhere else to go to get the urgent help he needed. 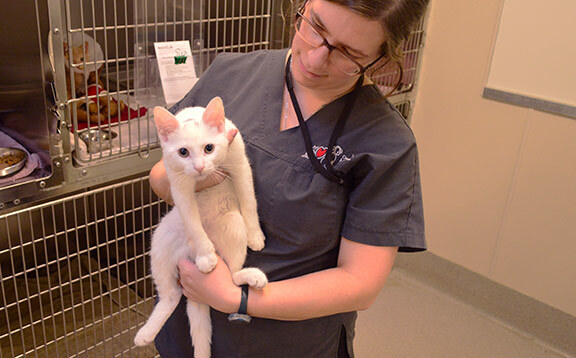 In a quiet corner of the Ottawa Humane Society, in a glass-walled room just off the veterinary clinic, sits the critical care unit. This is the room where miracles are performed and prayed for. 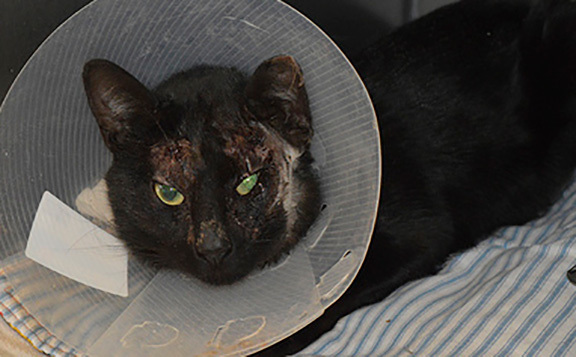 Here arrive the worst injured and most neglected creatures: from a cat hit by a car to a dog nearly beaten to death by a heartless owner. This is where they receive medical treatment, tender care, and hope. Critical Care is like the Intensive Care Unit (ICU) in a hospital. The lights are lowered, the quiet beep of an IV drip can be heard, and staff talk in whispers. Here reside the animals of our Buddy & Belle Medical Emergency fund: these are animals who need to be monitored by veterinary technicians (nurses) and veterinarians. Almost all are on medications: pain control, antibiotics, and sedatives. Their lives hang in balance: donors like you make the diligent care and medical intervention they desperately need possible. You can be their hope for a second chance at life. Above you can learn about some of the Buddy & Belle Medical Emergency animals and grant their second chance with your gift today. 245 West Hunt Club Road.